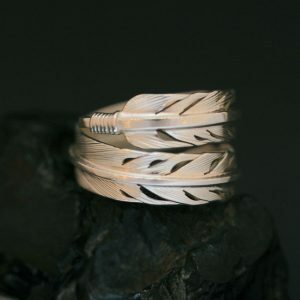 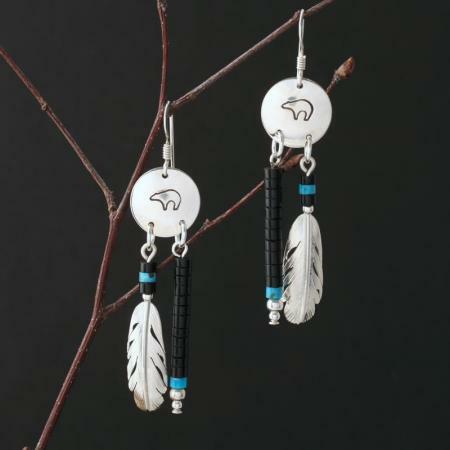 These distinctively Native American earrings consists of handmade sterling silver feathers, hand cut black jet and turquoise heishi beads and bear stamped sterling silver shields. 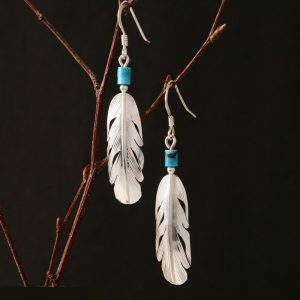 The earrings measure 57mm in overall length. 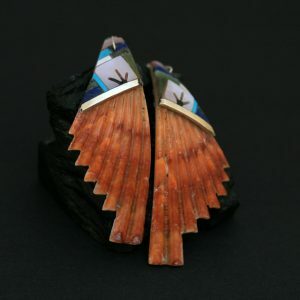 The earrings are entirely handmade by Harvey & Janie Chavez of the Kewa Pueblo tribe, NM, USA.